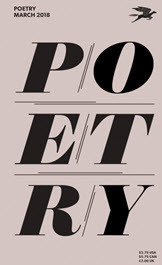 Description: Poetry magazine is published by the Poetry Foundation. The magazine has since been in continuous publication for more than 100 years. They have published work by Robert Frost, T.S. Eliot, E.E. Cummings, Sylvia Plath, Frank O'Hara and many other famous writers. They are committed to discovering new voices. Needs: Poetry and poetry-related prose. Payment: Payment is made on publication. The rate of $10 per line (with a minimum payment of $300), and $150 per page of prose, for first serial rights. Authors also receive two contributor copies. Tips: Poetry only accepts previously unpublished work. How to Submit: Poetry does not accept mailed or email submissions. They use the Submittable submission system. Submit no more than four poems at a time.